Most user-created macros are designed for use in a specific workbook, but you may want to use some macros in all your work. 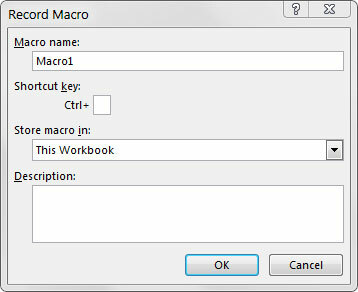 You can store these general-purpose macros in the personal macro workbook so that they’re always available to you. The personal macro workbook is loaded whenever you start Excel. This file, named personal.xlsb, doesn’t exist until you record a macro using the personal macro workbook as the destination. To record the macro in your personal macro workbook, select the Personal Macro Workbook option in the Record Macro dialog box before you start recording. This option is in the Store Macro In drop-down list (refer to the following figure). Choose your storage area from the Store macro in drop-down list.